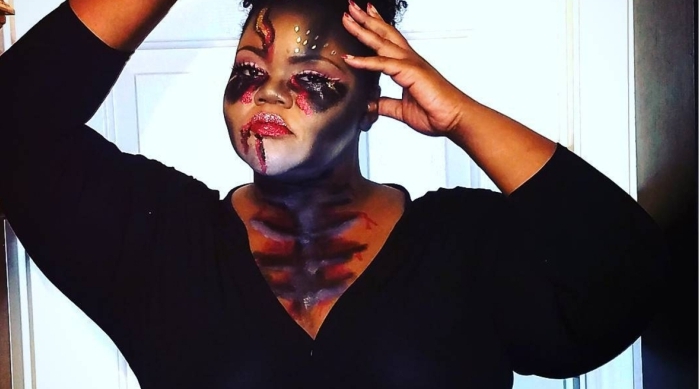 While Halloween is great for costumes and parties, it&apos;s also an excuse to be totally silly! And what better way to express your most goofy creativity than in the kitchen? Seriously, ever since I purchased just a standard food processor, learned how to use my oven and became willing to clean up the guaranteed post-completion mess, I started cooking at every chance I get. So it only made sense that when I had the opportunity to review Cinderly&apos;s Easy to Bake Unicorn Cookbook ($24.99), I jumped at the chance to give one of their many dessert recipes a whirl. 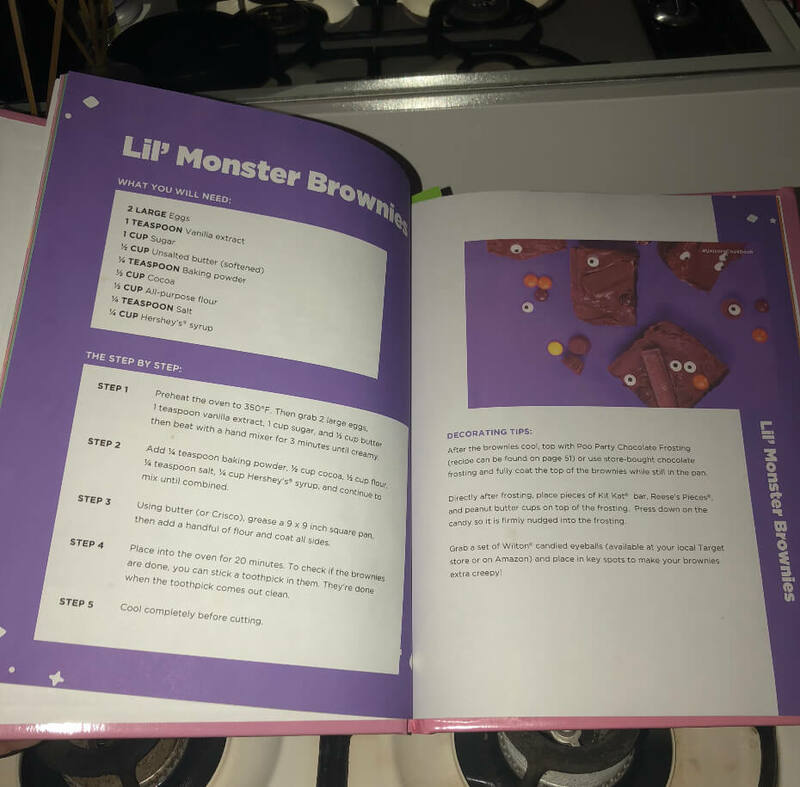 At the time I received the 85-page Kickstarter success, the closest holiday on the calendar was Halloween, so now, as it nears, I&apos;ve decided to go for it and make their Lil&apos; Monster Brownies recipe. 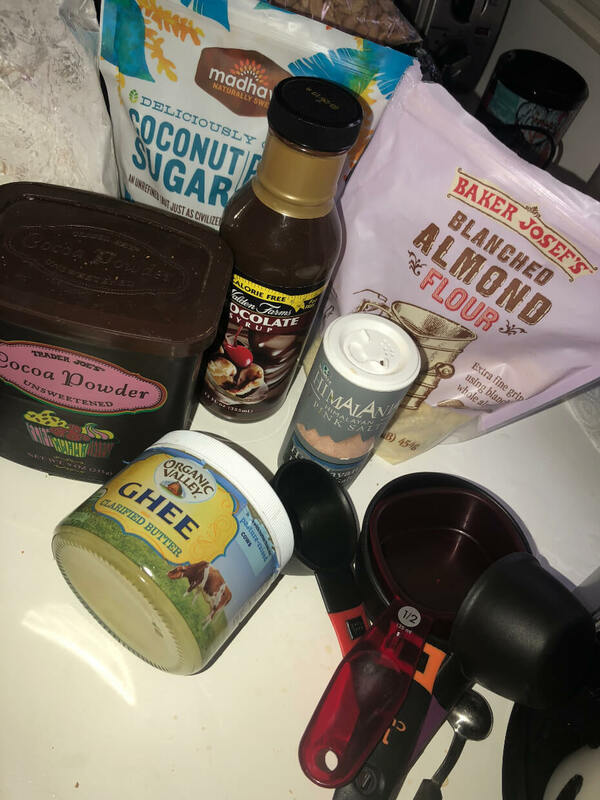 I&apos;m going to list the recipe exactly how it&apos;s noted in the book, but, when I made it, I modified the ingredients a bit—using the ingredients pictured in the photograph below, under what the recipe calls for—as I&apos;m very sensitive to sugar and artificial sweetener. To each their own, but one of my favorite things about this recipe in particular was taking some very distinct ingredients and replacing them with products that gave it that same rich flavor, but without that intense sugar rush (or major carb/calorie intake). 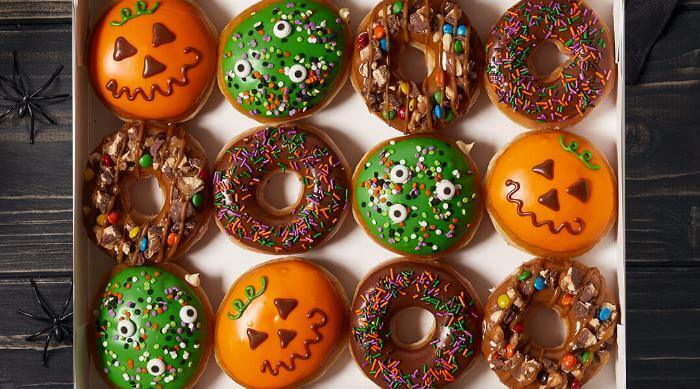 Regardless of anyone&apos;s relationship with sugar, we&apos;re bound to get plenty of it this month, so any way to alleviate intake when it&apos;s not absolutely necessary is a smart move, IMO. 1. With the help of a parent, preheat the oven to 350 degrees. 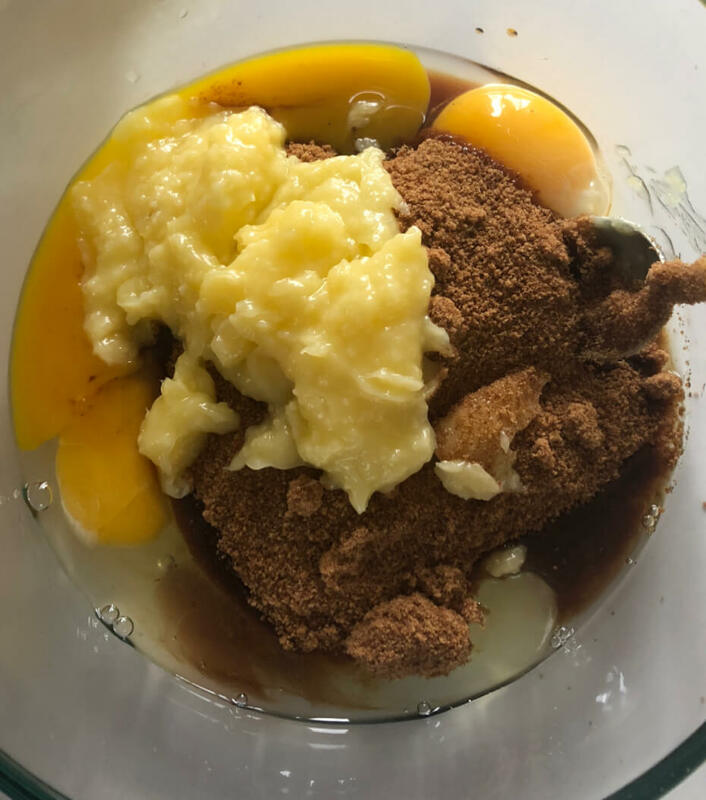 Then grab the eggs, vanilla extract, sugar and butter and beat with a hand mixer (I used a fork) for three minutes until creamy. 2. 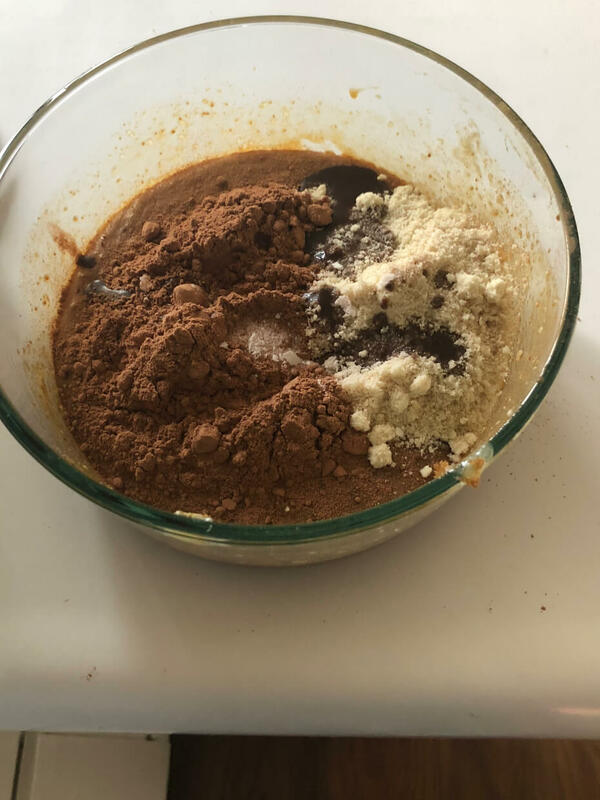 Add the baking powder, cocoa, flour, salt and syrup, and continue to mix until combined. 3. Using butter, grease a 9 x 9-inch square pan, then add a handful of flour and coat all sides. 4. Place into oven for 20 minutes. To check if the brownies are done, you can stick a toothpick in them. They&apos;re done when the toothpick comes out clean. 5. Cool completely before cutting. 1. Put the cocoa and powdered sugar in a large mixing bowl. Then add the butter to the bowl, followed by the extract. Stir until they start to mix. 2. 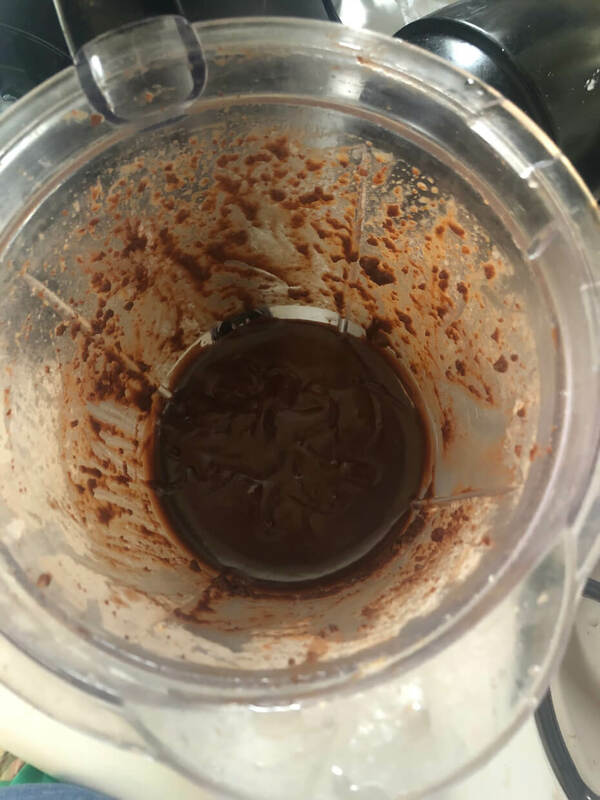 Put into food processor and briefly blend. Then slowly add the milk until frosting is thick. If the frosting becomes too stiff, slowly add more milk. 3. 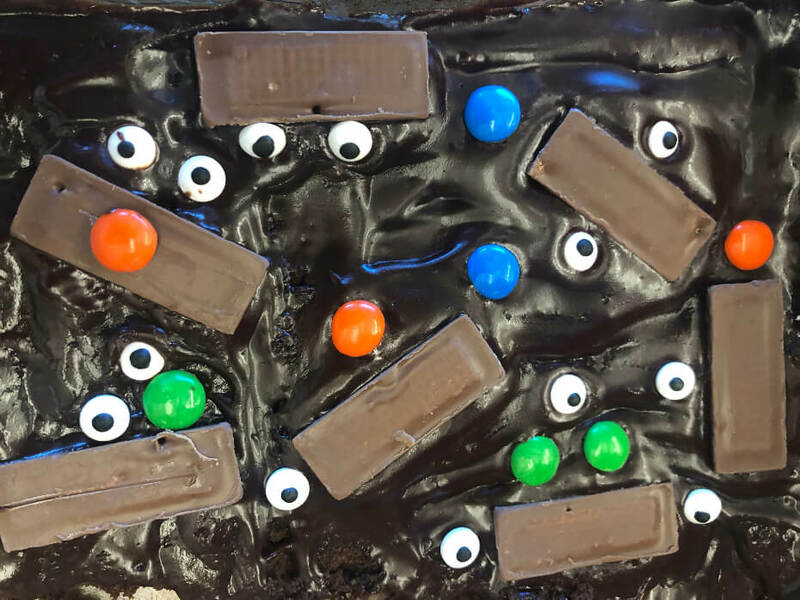 Once you apply the finished frosting to the top of the baked brownie, create your Lil&apos; Monsters, using Kit Kat bars, Reese&apos;s Pieces minis and Wilton candied eyeballs from Target. 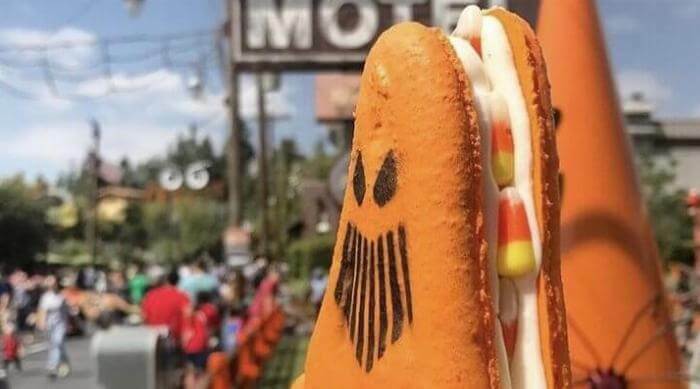 Then cut, serve and enjoy! If you have a thing for brownies, then we highly recommend you try THIS delicious brownie-flavored hummus (yes, you read that correctly)!